There are many factors that influence car insurance rates. A recent study by InsuranceQuotes.com finds that buying car insurance in December is cheaper than buying it in any other month. Timing affects car insurance rates, but location is a strong determinant as well. Weather, crime rates and traffic congestion are just some of the factors that might influence your annual car insurance premium. But how much does location actually matter? NerdWallet crunched the numbers to find which of the largest U.S. cities offers cheap car insurance. If you are looking for the country’s best car insurance rates, you should move to North Carolina. Six of the ten cheapest cities for car insurance were in North Carolina. North Carolina enjoys pleasant weather, but it also has car insurance laws conducive to low prices. Unlike U.S.’s worst cities for car insurance rates, North Carolina does not have no-fault car insurance laws. Winston-Salem tops our list with average premiums of $969.10. The city is home to Wake Forest University and R.J. Reynolds Tobacco Company as well. 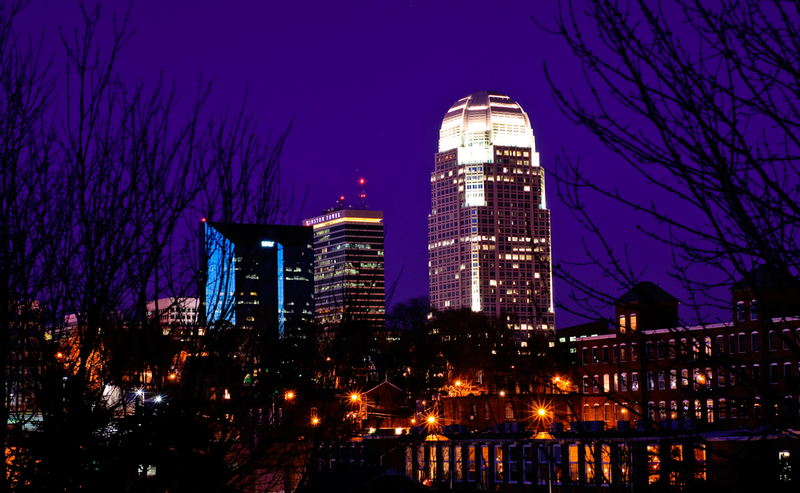 Winston-Salem is a point in the Piedmont Triad, a region known for its contribution to culture and education. It is also a hub for transportation and manufacturing. Winston-Salem is classified as a sub-tropical area and the temperature averages a high of 51 degrees in the winter and 89 degrees in the summer. Greensboro is another city in the Piedmont Triad. It is also the city with the second cheapest annual car insurance premiums on our list. Greensboro is a transportation hub. It is the home of Piedmont Triad International Airport. Greensboro also has Amtrak trains that connect to other major U.S. cities such as New York and New Orleans. The city also benefits from state policies aimed at curbing insurance fraud. Widespread insurance fraud can raise average premiums. North Carolina offers a toll-free hotline within North Carolina so that you can report suspected insurance fraud: (888) 680-7684). Raleigh a city in North Carolina’s research triangle and is home to North Carolina State University. Raleigh has an extensive public transportation system, which has 43 fixed bus routes. North Carolina State University also runs its own bus line, which helps alleviate congestion. Large numbers of uninsured drivers can increase car insurance rates for all drivers. North Carolina has one of the lowest rates of uninsured motorists in the country, at just 8 percent. Another vertex of the Research Triangle, Durham, also makes the list. Durham is home to Duke University and North Carolina Central University. Commuters traveling to other Research Triangle cities can take Triangle Transit, a commuter bus that also helps alleviate the area’s congestion. It is warm most of the year and Durham only averages 6.8 inches of snow a year. Charlotte is blessed with good weather, which helps contribute to the city’s low car insurance rates. It also rarely snows in Charlotte, averaging around just six inches of snow a year. The Charlotte Area Transit System (CATS) operates light rail and bus systems, which city planners hope to extend to the University of North Carolina-Charlotte campus. Boise’s low crime rate and lack of congestion help keep its car insurance rates low. Its average commute time is 20 minutes, which is much lower than the national average. Companies such as Albertsons and Bodybuilding.com have their headquarters in Boise. The city has a 5.9 percent unemployment rate, which helps keep Boise’s average car insurance premium low. Rochester is often touted a good city to raise a family. It is home to world-class universities, most notably the University of Rochester and the Rochester Institute of Technology. The city is also home to large companies such as Eastman Kodak and Bausch and Lomb, which help keep employment levels at reasonable rates. Large numbers of uninsured drivers can increase a city’s average car insurance premium, but the New York Automobile Insurance Plan helps high-risk drivers find insurance. Drivers can apply for insurance through NYAIP and take a course to automatically lower their insurance rates. Fayetteville is home to Fort Bragg, a major army installation. Fort Bragg is the main economic driver in Fayetteville and as such Fayetteville boasts a relatively low unemployment rate. Fayetteville also benefits from North Carolina’s Safe Driver Incentive Plan. The program promotes safe driving by increasing insurance costs for unsafe drivers. For example, a moving violation will increase a driver’s premium by 30 percent. In Washington, high-risk drivers are encouraged to enroll in the Washington Automobile Insurance Plan (WAIP). The WAIP is a part of the Western Association of Automobile Insurance Plans (WAAIP), a group that allows insurance companies to share the risk of high-risk drivers. High-risk drivers often have trouble finding insurance, but through WAIP, they are can purchase insurance, albeit at a much higher price. Interested drivers can apply for car insurance through the WAAIP website. Montgomery is home to many government agencies and is the home of Maxwell Air Force Base. Many insurance companies offer military discounts. USAA, which only accepts military personnel and their family as members, is often rated highly for its service and price. What can be done about insurance rates? 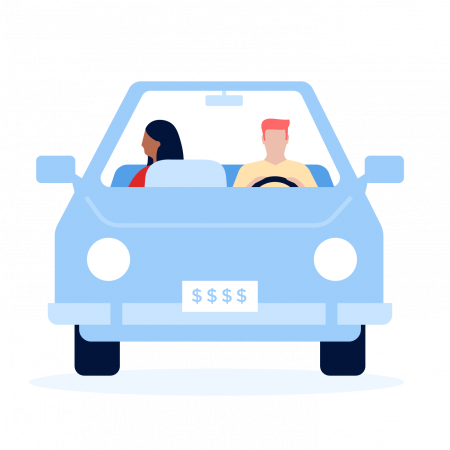 Although residents of Winston-Salem, Boise and Rochester pay reasonable car insurance premiums, we have found that on average drivers overpay $368 for car insurance every year. No matter where you live, you should compare insurance rates and seek relevant discounts to truly minimize your car insurance payments.